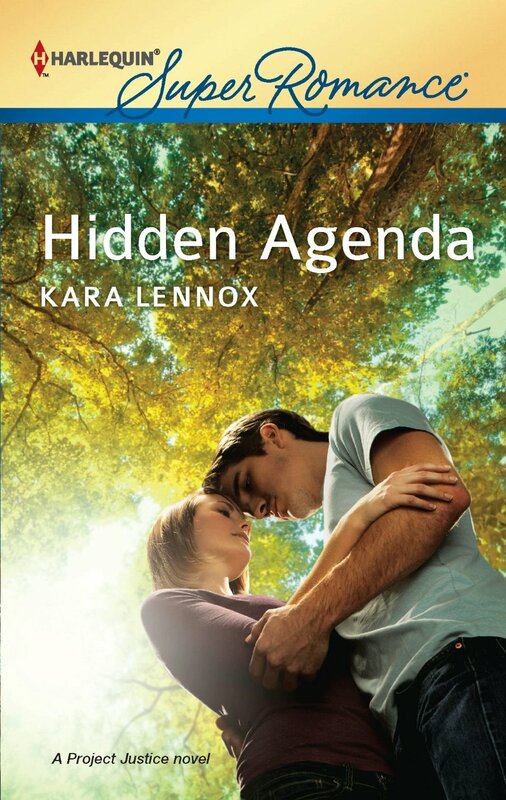 Hidden Agenda, by Kara Lennox, is a Harlequin Super Romance from 2012. Jillian was an awkward overweight teenager, and when she offered to help her crush Connor with his science fair project, he humiliated her. She retaliated by slashing his tires. Several years later, she’s working for him. There are possibilities here, but that’s not where the story goes. Jillian stopped eating chocolate bars, starting swimming, and became thin and therefore attractive. To make her more unlikeable, she’s also very wealthy, from family money. She’s only working for Conner because she’s doing undercover work for Project Justice, an agency that is supposedly like the Association in Defence of the Wrongly Convicted but more reminiscent of Charlie’s Angels. If all of this weren’t bad enough, it’s her first under cover assignment and she’s desperate to please her boss. On the other hand, she’s not so dedicated that she’ll turn down a quickie in the office. Connor may be suspected of murder, but he’s also a high school crush, which no one can resist. Lennox provides a note to the reader mentioning that Jillian appeared in five books about this agency before getting her own story. I suspect she has previously been comic relief. Apart from an annoying heroine, this is a fun read. Conner has some depth and substance (and is too good for her). There are good secondary characters, and Knox writes well and keeps the lightweight murder mystery sub-plot ticking along briskly. The bad guy would have gotten away with it too, if it hadn’t been for that meddling girl.